GAF’s warranties come with a special coverage called the Smart Choice Protection Period. This protection will provide extra coverage against manufacturing defects during the first few years of your new roof. In the event that you experience a manufacturing defect on covered components within the first few years, GAF will provide you with 100% replacement materials and the reasonable cost of labor to install them. Most roofing warranties do not offer the additional partial coverage of labor and only provides replacement materials. Certain products are covered against manufacturing defects for 30 years where others are covered for 20 or 25 years. This Warranty provides coverage against manufacturing defects for all major GAF components on your roof, not just your shingles. The warranty is only available through GAF's factory-certified contractors, and is a low-cost way to get up to 50 years of non-prorated coverage against manufacturing defects on your new roofing system. This warranty is only available through GAF's factory-certified contractors and is a superior warranty. This warranty is to cover both manufacturing defects and our workmanship. GAF will stand behind workmanship for 25 years. The Golden Pledge Ltd. Warranty is available only through GAF Master Elite Contractors, who are factory-certified by GAF. 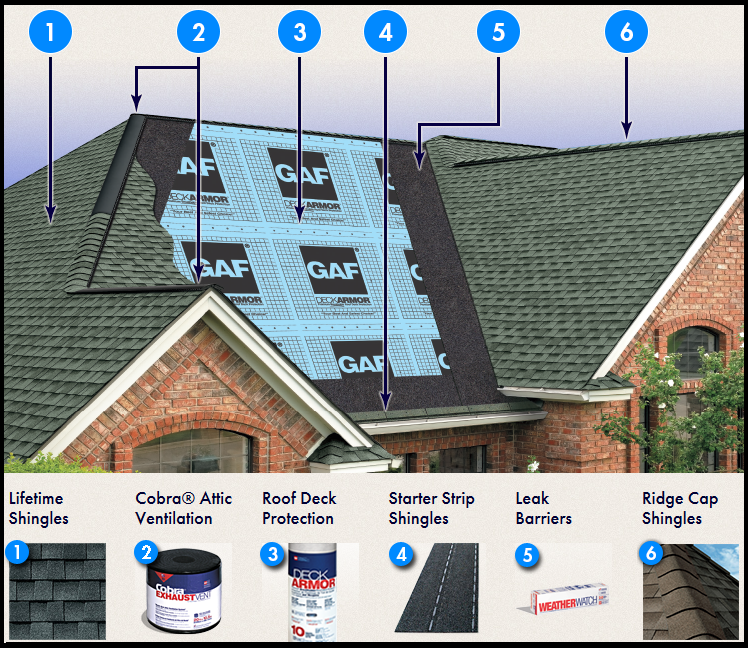 On top of GAF warranty, 1st Choice Home Solutions also offers their 10-Year Workmanship to all roofing projects.